Looking for deeper insight on markets? In tonight’s Closer sent to Bespoke Institutional clients, we go over the lack of late day buying while crude oil has moved further into backwardation. We also note that amidst all the interest rate chaos and weak economic data, the VIX is falling to new lows. 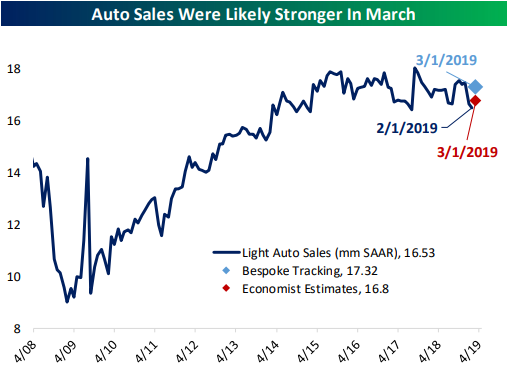 Moving on to macro data, we begin with a look at the February data on manufacturers’ new orders, sales, and inventories. We compare this hard data to the soft data seen in our Five Fed Manufacturing Index. We finish with an update on global autos sales.